Hotel restaurants have been upping their game lately, but the new Origin Grill & Bar at Shangri-La Hotel hits the ball right out of the park. Occupying the site of the former Japanese restaurant Nadaman, Origin has been transformed into a 1930s train station with a mid-century modern vibe: arches frame the dining space, diners lounge on leather Tripolina chairs and curved benches, and bartenders hand drinks over a counter that looks like a ticketing office. The restaurant’s design stirs up the idea of embarking on a journey, but it is the food that completes the gastronomic adventure. Despite opening only in late December, Origin is quickly gaining a reputation as a top-notch steakhouse. There are wagyu options exclusive to the restaurant, such as the 500-day Japanese diet-fed Shiro Wagyu (with a marbling score of 9), and the snow-aged full blood wagyu (Grade A4). The latter is preserved and aged in a snow-covered room, which helps the meat retain moisture and deliver that fresh, buttery taste as it melts in your mouth. It is worth trying on a special occasion. There are other beef options too, whether grass- or grain-fed, pure- or crossbred (or full blood! ), Angus or wagyu, or from Australia, Japan, and Ireland. 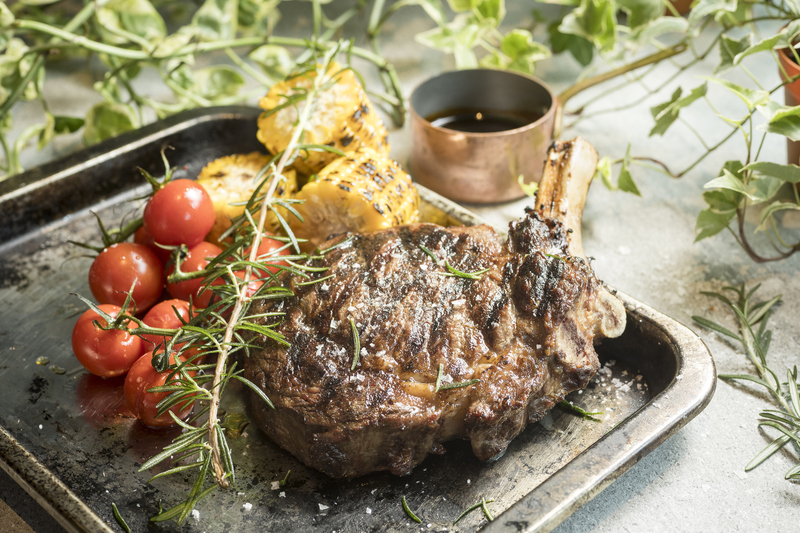 The selection, the menu boasts, offers some of the best beef in the world. But Origin is not just for those of us who crave that ecstasy that accompanies every bite into a slab of juicy meat. Chef Flanagan is equally adept at seafood, all sourced from sustainable lines, and gives a number of them her own twist. The pan-seared Hokkaido scallops, for example, almost transports you to Thailand with its mix of fragrant chili jam, holy basil and crushed peanuts, but still remains the focal point of the dish. It was served as an appetiser, but I would have happily eaten it as a main. Another favourite was the miso butter glazed black cod: the miso butter is a subtle way to pack flavour into this mild fish, which flaked off perfectly. For dessert, we highly recommend the yuzu lemon tart, which is accompanied by an adorable strawberry iced lolly. Sour and sweet rolled into one, it is a refreshing way to end off the night. Service is excellent at Origin too, with the servers well-acquainted with the menu and forthcoming with their excellent wine pairing suggestions — though one would not expect any less at the Shang. Whether you’re in need of an aperitif or a night cap, the bar is a must-visit for cocktail lovers, where manager Adam Bursik, from the now-defunct speakeasy Library on Keong Saik Road, has crafted some 20 drinks inspired by five key districts in Singapore. The signature drink, Origin, is a spicy gin-based cocktail made with sugar cane honey, nutmeg, pepper, charred pineapple and lime husk wine. It tastes exactly how like you’d expect 18th-century, trade hub Singapore to be. The Pearl, from his futuristic Marina Bay section, is a smooth and floral concoction of Black Forest gin with tofu, elderflower, sea grapes and mugi shochu. It’s an alcoholic tau huay (soy bean curd), served up in a Pinterest-worthy ceramic oyster glass — the perfect ambassador for Bursik and his boundary-breaking recipes. Origin is sure to please the aspiring architects, foodies and alcoholics. And if you happen to be like us — all three rolled into one body — a meal there might be one of your more memorable ones this year. Book a table at Origin Grill & Bar and earn 2X Chope-Dollars with code TASTYBLOG.